The word “jazz” was first used in Finland in 1919 (Haavisto 1996: 6). However, for many years its meaning remained somewhat vague. Perhaps the main reason for this was that it was very difficult to get any foreign records. Thus, the Finnish bands really did not know how to play jazz because they did not have enough opportunities to listen to foreign bands. 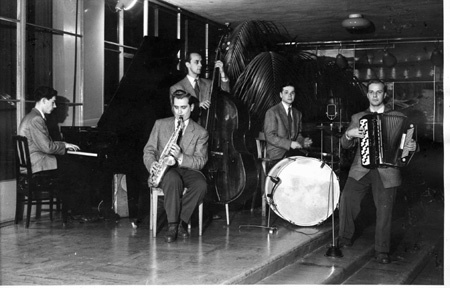 In the late 1920s the word “jazz” signified something modern and cosmopolitan in Finland. It quite often referred to any kind of music where the band included drums. The German “Lärmjazz”, with its noisy sound effects, was quite popular also in Finland. The most difficult aspect of jazz for Finnish musicians was its rhythm. During the 19th century, Finland had been quite closed tied with both the German and the Russian music tradition. The Finns had been used to German marches and Russian melancholy waltzes and romances, and Finnish musicians had been playing music with an emphasis on the first and third beat of the measure. Although some Finnish dance bands had sheet music in their repertoire that could be regarded as jazz, these tunes did not rhythmically sound much like jazz when the bands performed them. 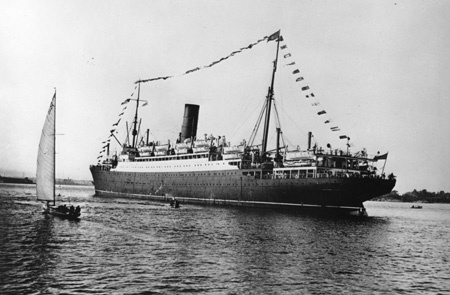 Therefore, a very important year for Finnish jazz is 1926, when S/S Andania arrived in Helsinki. Several members of the ship’s band, the Andania Yankees, spoke or at least understood Finnish. The band stayed in Helsinki for a couple of months, and thus Finnish musicians were able to hear the very same tunes that they have had in their own repertoire “played at appreciably slower, yet superbly swinging tempos, creating a spiritual awakening of sorts within their midst” (Haavisto 1996: 12). 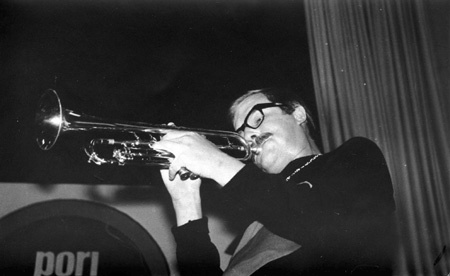 The second new phenomenon for Finnish musicians was improvisation, another key element in jazz. In particular, Andania’s Tommy Tuomikoski, a talented improviser, was an important figure because he stayed in Finland for several years playing in some of the most important local bands, teaching his fellow musicians improvisation. 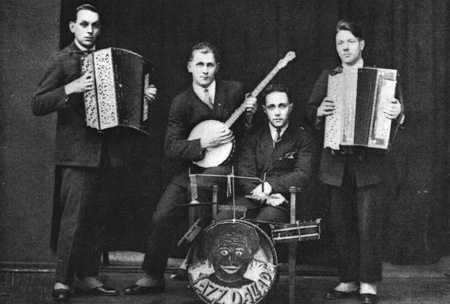 The late 1920s saw also the birth of the Finnish accordion jazz. The main developer of the style was the band Dallapé. The main idea was to play foxtrots with accordions, banjo or violin, and drums. Later new instruments such as saxophones and marimba were added. The foxtrots were played almost as marches according to the German tradition. Actually this music became very popular 35 years later in the 1960s when it was reintroduced as “humppa”, a style of music that is today regarded reflecting something very “Finnish”. 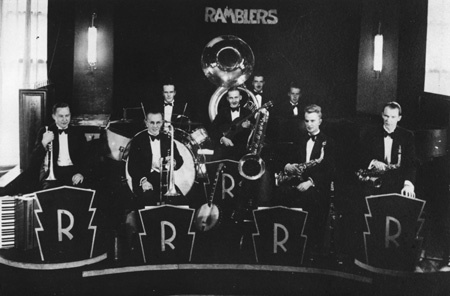 Perhaps the best Finnish jazz bands in the 1930s were Ramblers, led by trombonist Klaus Salmi, and Rytmi-Pojat, featuring the Finnish equivalent to Louis Armstrong, trumpeter Eugen Malmstén. Both these bands played “hot” music with some improvised solos. 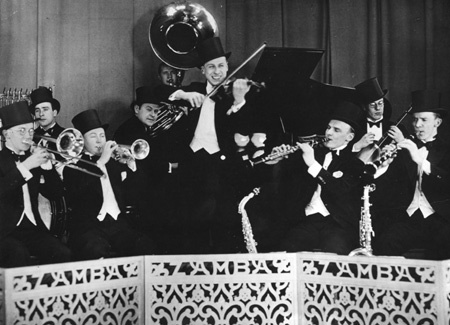 Their music was more influenced by ragtime and Chicago style than by the swing bands of the 1930s. 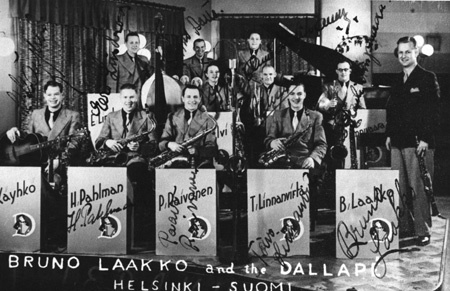 In the late 1930s the American-Finnish saxophonist Bruno Laakko conducted the Dallapé for few years. 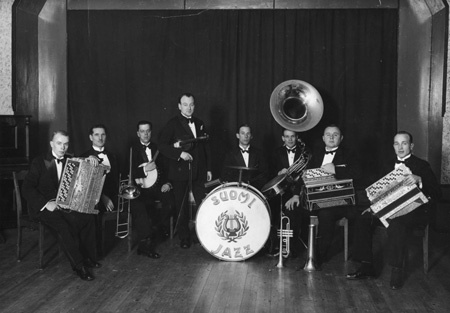 Under his leadership the band turned away from its original style, accordion jazz, but instead turned into a swinging big band, playing “sweat” arrangements in the style of the white American big bands. During the 1930s it gradually became somewhat easier to get American jazz records. Young jazz enthusiasts listened to recordings by American big bands such as Basie, Goodman and Ellington. Many Finnish musicians also had an opportunity to hear Edgar Hayes’s big band which gave not less than 13 concerts all over Finland in 1938. During wartime, most jazz musicians served in the army. Dancing was the subject to either a total or partial ban. Thus, public corner dances, masquerading as “dance schools”, entered the picture, featuring both recorded and live music (Haavisto 1996: 23). These “dance schools” gave a new generation of jazz musicians, who were too young to join the army, an opportunity to play for public. 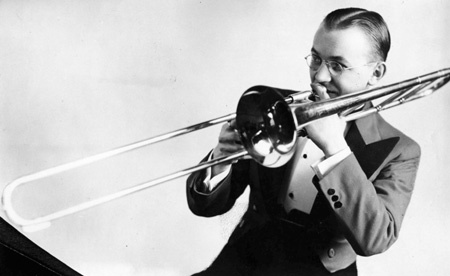 Musicians such as Jakob Furman, Erik Lindström, Börje Sundgren and Herbert Katz have listened American swing big bands, and the music they were playing was rhythmically more relaxing and swinging than that of the previous generation. When the war ended, the dancing ban was lifted. There was an enormous demand for dance music which gave great opportunities for jazz bands that play danceable music. Also some big bands were founded. Perhaps the most famous of them was the Ossi Aalto big band, which played both American arrangements and original arrangements by Toivo Kärki. 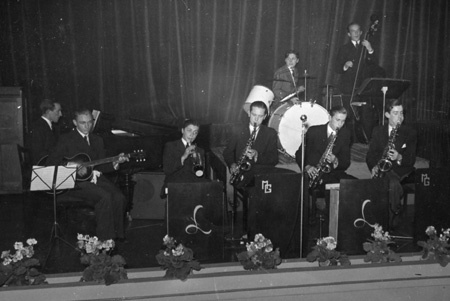 The music was influenced by the style of American swing bands such as Goodman, Basie and Ellington, but Aalto’s band also played more modern big band music by Woody Hermann and Stan Kenton. After a few years smaller combos, such as quintets with featured vocalists, started to dominate the Finnish jazz scene. Bebop and its successor hard bop never really arrived in Finland in the 1940s and 50s. 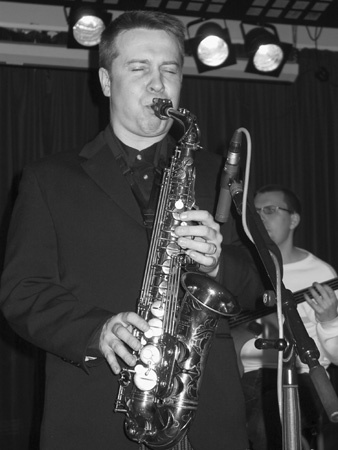 Most of the musicians were not professionals, and therefore it was difficult for them to practice enough in order to be able to play technically demanding bebop. What was perhaps even more important, all Finnish jazz bands had to play mainly dance gigs, and rhythmically complex bebop was not suitable for dancing. However, there were some exceptions. Especially Kalevi and Kauko Viitamäki’s Quintet played their own interesting version of bebop. As most Finnish bands, they did not have any sheet music, and therefore had to transcribe the bop tunes from radio broadcasts. The harmony was too difficult to transcribe, and thus they invented their own chords for the melody. Their truly original sound was characterized by Kalevi’s alto (which sounded very much like Parker), accompanied by Kauko’s accordion, playing those interesting sounding chords. 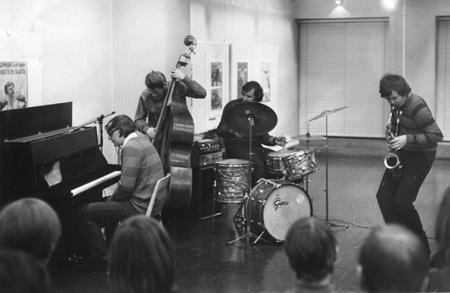 The Kauko Viitamäki Quintet is also an example of the fact that although Helsinki has always been the centre of the Finnish jazz scene, jazz was also played in the provinces. Besides Viitamäki’s home town, Hämeenlinna, also Kotka, Tampere and Ostrobotnia region, among others, have been very active when jazz music is concerned. While not many played bop in Finland, rhythmically more relaxed cool jazz was very successful. The vibraphone became very popular among the jazz bands. Its sound was perfect for cool jazz. And furthermore, it was very practical instrument when bands performed in the Finnish countryside, where it was very difficult to find any pianos that were in tune. Some of the most admired foreign jazz musicians were George Shearing and Gerry Mulligan. Almost all bands attempted to copy aspects of the Shearing style in one way or another: the public enjoyed its melodic emphasis and rhythmic clarity, and it was excellent suited for dancing (Haavisto 1996: 36). 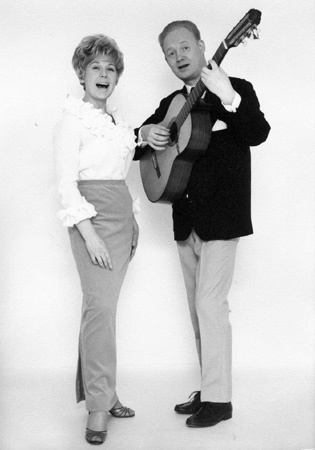 In the 1950s the so-called jazz schlager became popular in Finland. It was an interesting combination of different musical influences: American jazz and popular music, East European and Russian music, Finnish traditional dance music, and Jewish klezmer. For instance, Russian minor key folk tunes were performed as swinging foxtrots. 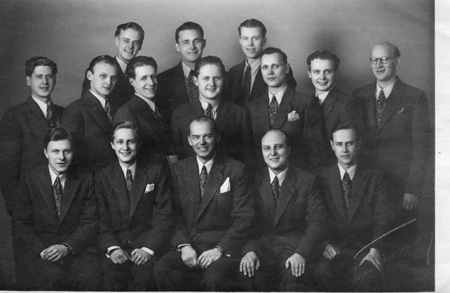 When jazz schlagers were recorded, the best Finnish jazz musicians were often used, and therefore the recordings sound rhythmically relaxed and swinging. The jazz musicians’ attitudes to these jazz schlagers were twofold. Firstly, many jazz musicians regarded these tunes not as “proper jazz”. On the other hand, many saw that these tunes spread jazz influences to audiences that normally did not listen to jazz at all (Jalkanen 1992). 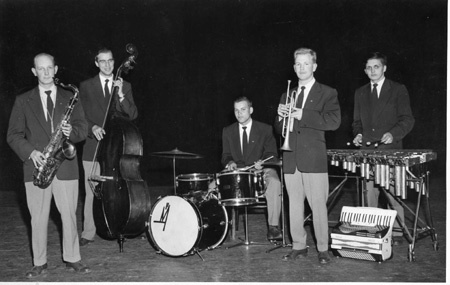 The Finnish jazz bands mainly had to play dance music in the 1950s such as waltzes or even tangos, but they also performed many American evergreens and jazz schlagers. During the first hour of a dance gig the audience quite often actually was not ready to dance yet, and thus the band got an opportunity to give a short jazz concert. Until this point, Finnish jazz had been based to a large degree on the emulation of foreign models. The 1960s brought forth a new generation who created original music which combined American tradition and Finnish influences. Talented young musicians like Esa Pethman, Heikki Sarmanto, Eero Koivistoinen and Henrik Otto Donner, were musically well trained. They were true professionals who did not have to play dance music for a living. These young musicians have heard Miles, Coltrane and Coleman play in Helsinki. They started to compose truly original compositions, combining hard bop, modal and free jazz with Finnish folk music, and even classical music. Esa Pethman’s album “The Modern Sound of Finland” (1965) is a perfect example of this new musical language. Pethman’s jazz compositions are influenced by both Finnish folk tunes and the Finnish romantic composers of the 1910’s. 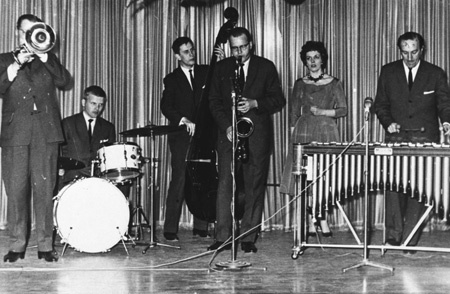 Because of the pop and rock music, the popularity of jazz diminished during the 1960s in Finland. However, in the same time Finnish musicians gained higher visibility abroad. For instance, combos led by Pethman and Pekka Pöyry and the group Soulset succeeded well in foreign contests and festivals. 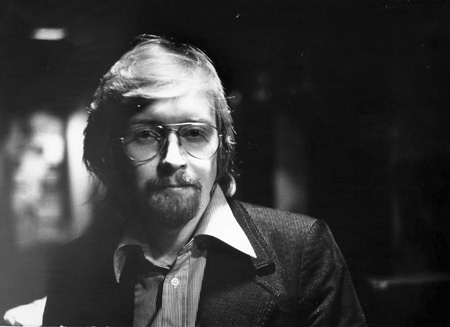 In the early 1970s many Finnish jazz musicians started to combine jazz, rock and funk. The music of bands like Tasavallan Presidentti and Wigwam is generally regarded as progressive rock, but it actually is very close to fusion jazz because especially in concerts long improvised solos were played by talented musicians such as guitarist Jukka Tolonen, saxophionist Pekka Pöyry, and bassist Pekka Pohjola. 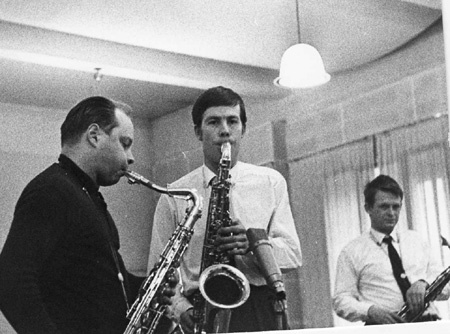 Other musicians recording fusion jazz were Eero Koivistoinen and pianist Olli Ahvenlahti, who was perhaps the biggest Finnish name in jazzfunk. In the 1970s Finnish jazz musicians also continued moulding together Finnish folk tunes and jazz. 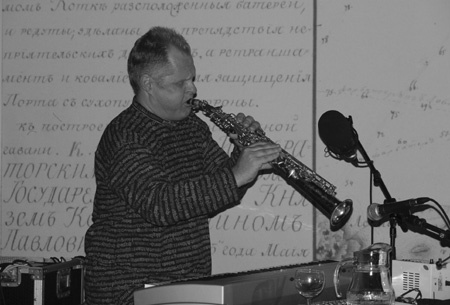 Saxophonist Sakari Kukko’s Piirpauke was in fact one of the very first “world music” groups, and thus way ahead of its time (Silas 2004). A very important thing when the Finnish jazz from 1970s onwards is concerned is the rise of popular music education in Finland. The Oulunkylä Pop and Jazz Institute was founded in 1972, and the Sibelius Academy included a jazz programme in its curriculum in 1983. Another important institution when the training of the jazz musicians is concerned is the UMO jazz orchestra, founded in 1975. This professional big band has given an opportunity to many Finnish jazz musicians to earn their living as a full-time jazz musician. UMO has also invited many top international jazz names to conduct the orchestra and to educate its players and Finnish composers and arrangers. In the 1980s Finnish musicians were more and more playing with foreign jazz musicians. 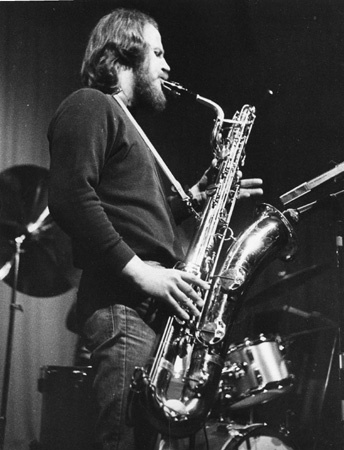 For instance bassist Teppo Hauta-Aho and saxophonist Eero Koivistoinen performed and recorded with international top artists such as Cecil Taylor, Jack DeJohnette and John Scofield. 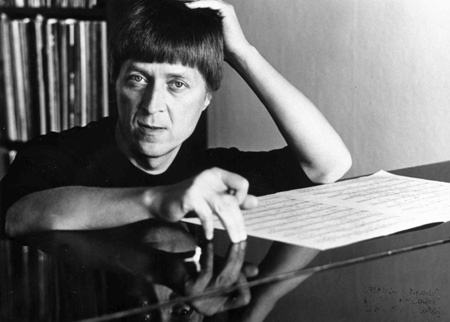 Meanwhile, some Finnish jazz composers like Heikki Sarmanto and Jukka Linkola, composed works that combined elements of jazz and classical music. For instance, Sarmanto investigated the possibilities of mixing jazz with choral and church music (Silas 2004). Other styles of crossovers were produced by Paroni Paakkunainen and Tapani Rinne. Paakkunainen turned towards the music of the Lappish people when producing pieces like the “Yoik Symphony”. Meanwhile, Rinne was fusing elements of jazz, ambient and techno with his group RinneRadio in the late 1980s. In the 1990s the Finnish jazz became more professional and internationally recognized than ever. More and more talented and educated jazz musicians emerged in the jazz scene. Although at the moment a great variety of different styles of jazz are being played in Finland, one thing is common to almost every Finnish band, that is, mixing of different musical elements. For instance, pianist Iiro Rantala’s Trio Töykeät has an inimitable sound, blending musical virtuosity, Latin-tinged entertainment values and humour (Silas 2004). Sakari Kukko and Jukka Perko have both arranged chorals as jazz tunes. Perko has also recorded favourite Finnish dance tunes first popularized by the most famous Finnish tango singer, Olavi Virta. 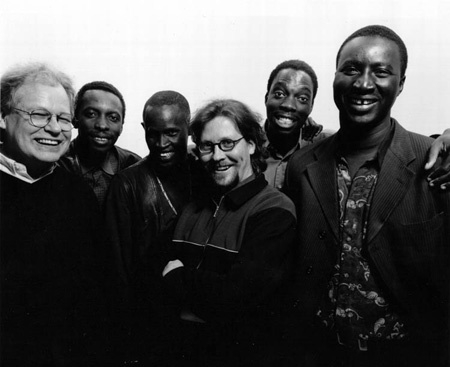 Both veteran Eero Koivistoinen and guitarist Raoul Bjärkenheim with his group Krakatau have performed with the Senegalese mbalax-group Galaxy. In the meantime, groups like XL have been experimenting with the fusion of jazz and rock. The latest development in the Finnish jazz scene is the so-called nu-jazz movement, which combines electronic music and sampling with jazz instruments and improvised solos (Silas 2004). Ensembles like Quintessence, The Five Corners Quintet, and Teddy Rok Seven represent a new generation of musicians for which a sampler is just as valid instrument as a saxophone. Haavisto, Jukka 1991: Puuvillapelloilta kaskimaille. Jatsin ja jazzin vaiheita Suomessa. Helsinki: Otava. Haavisto, Jukka (1996). Seven Decades of Finnish Jazz. Jazz in Finland 1919 – 1926. Sibelius Academy Educational Publication No. 12. Helsinki: Sibelius Academy. Jalkanen, Pekka 1989: Alaska, Bombay ja Billy Boy. Jazzkulttuurin murros Helsingissä 1920-luvulla. Helsinki: Suomen etnomusikologinen seura. Jalkanen, Pekka 1992: Pohjolan yössä. Suomalaisia kevyen musiikin säveltäjiä Georg Malmsténista Liisa Akimofiin. Helsinki: Kirjastopalvelu.